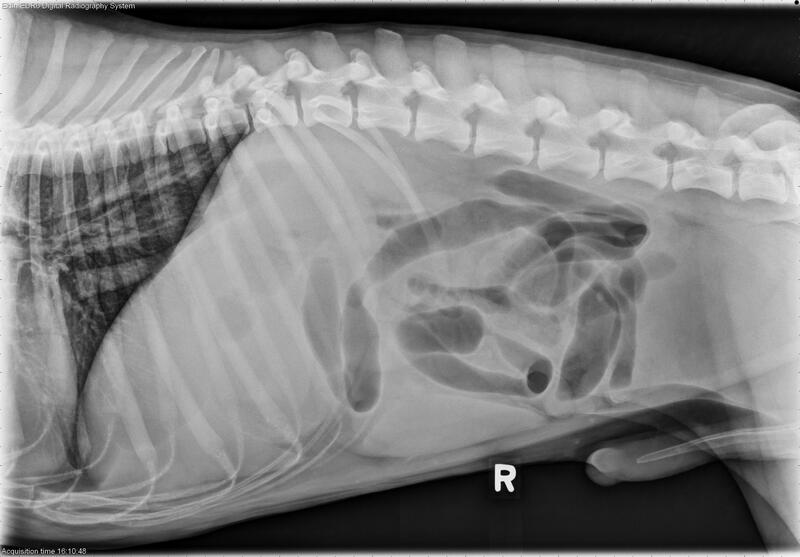 Today’s case is a 3-year-old male neutered Poodle with 4-day history of vomiting and anorexia. This one is a challenge! Take a look and see what you think. 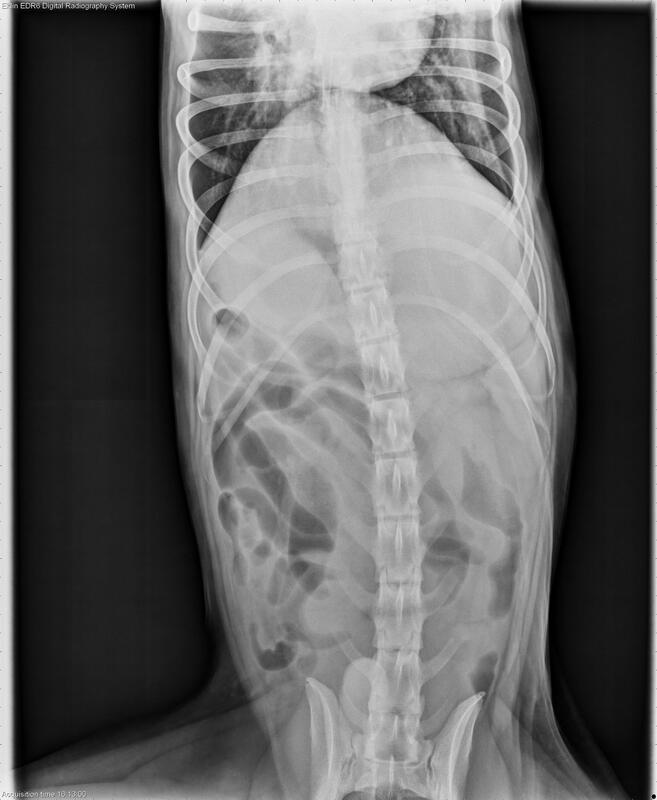 On abdominal radiographs, there is poor peritoneal detail centrally. 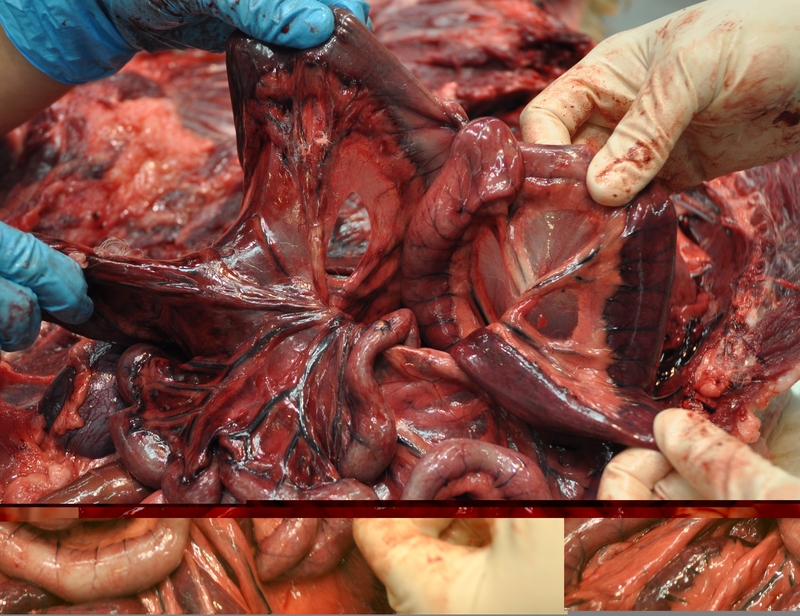 The stomach is distended with fluid and the small intestine is diffusely, moderately enlarged and gas filled. 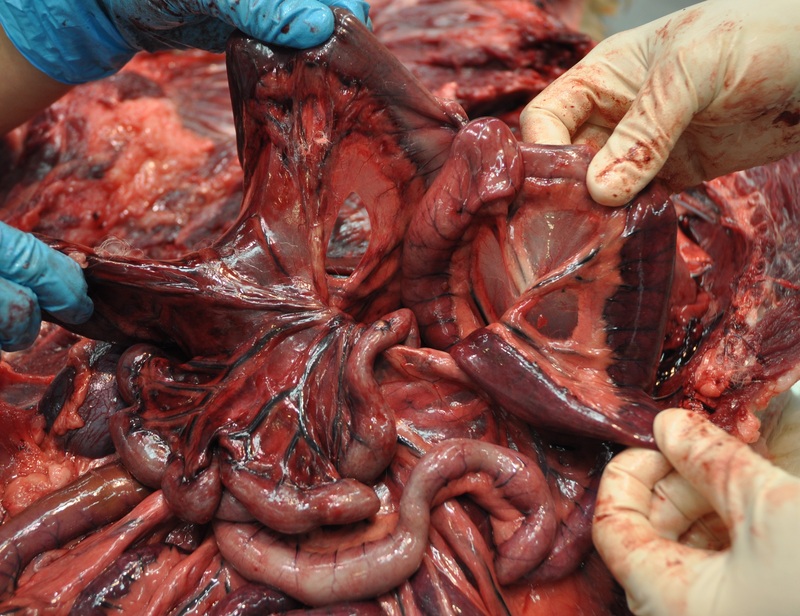 The spleen is moderately enlarged and normal in shape. The urinary tract appears normal. Diffuse small intestinal enlargement is consistent with distal mechanical obstruction or functional ileus. 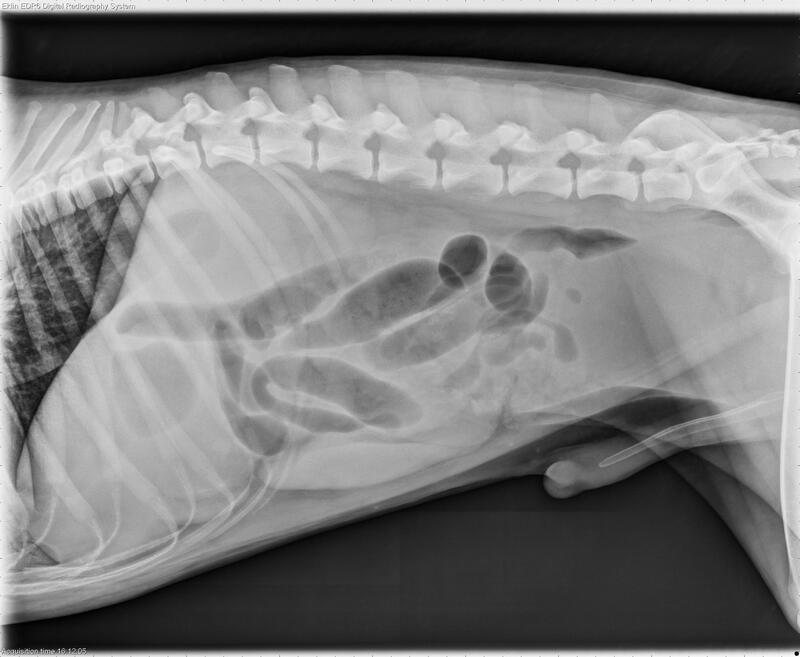 Poor detail may indicate a small peritoneal effusion or peritonitis. Ultrasound examination revealed distended bowel but no definitive site of obstruction and small effusion. Euthanasia was elected due to financial constraints. Necropsy found the jejunum was strangulated through a mesenteric rent. 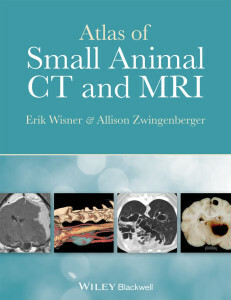 My first thought was that this looked a little like a mesenteric volvulus “cinnamon bun” on the right lateral. With this being a mesenteric rent would you expect them to look similar? Interesting case! Thank you! Yes, the end result of both conditions is strangulation of the blood supply to the small intestine resulting in necrosis. 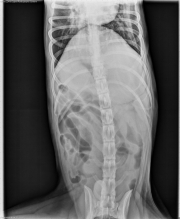 The dilation and gas filling of the small intestine is the effect that we see on the radiographs.